More social media based dramfotainment you say? Well allow us to gladly oblige, as we begin to well and truly get into the festive spirit with our good friends at Drinks by the Dram. 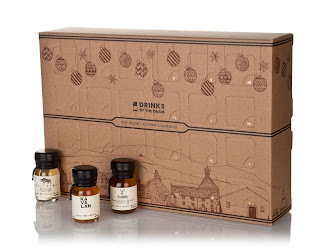 As traditional now as Christmas itself, the Drinks by the Dram Whisky Advent Calendars, are the ultimate way to countdown to the big day, and we’re thrilled to announce that on November 15th, we’ll be hosting a special Tweet Tasting, previewing a gaggle of glorious dramming delights, from the 2017 Whisky Advent Calendar. The closing date to register is November 6th, and if you are registering to take part please make sure that you will actually be free on the evening of November 15th to take part!